A New Furry Friend | Live. Learn. Love. Eat. 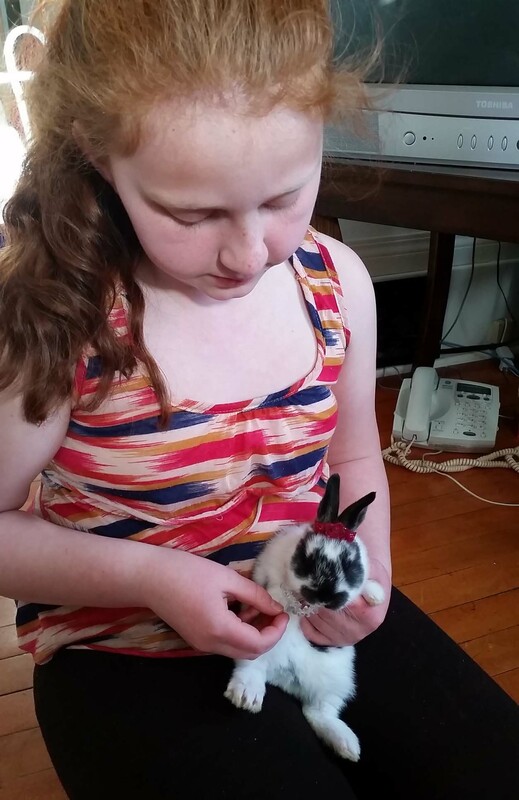 Last Saturday we got the girls a pet bunny. They decided to name her Oreo, since these days I have been craving organic “Oreo” sandwich cookies and we have been enjoying them a lot together. She is black and white and so it was what just came to mind when they asked me what she should be called. 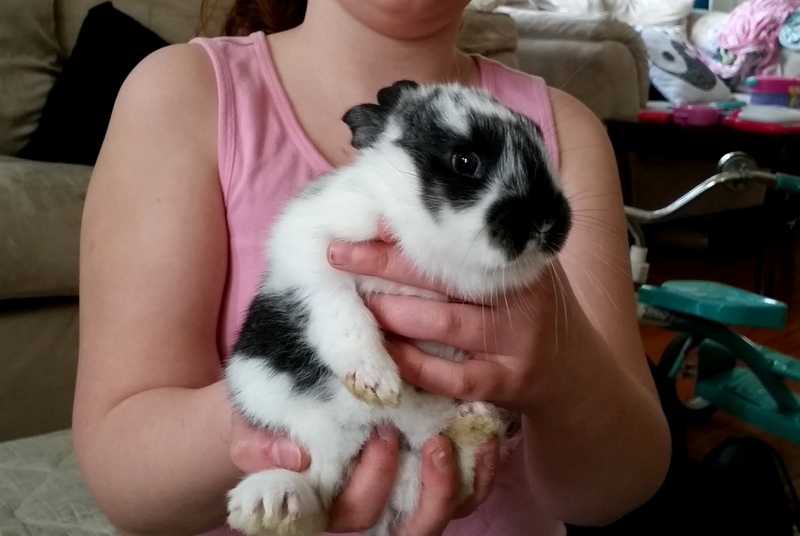 Oreo is quite the little princess and is so tame, allowing the girls to hold her, cuddle her, even push her around in their baby carriage wearing doll clothes. We picked a good one! 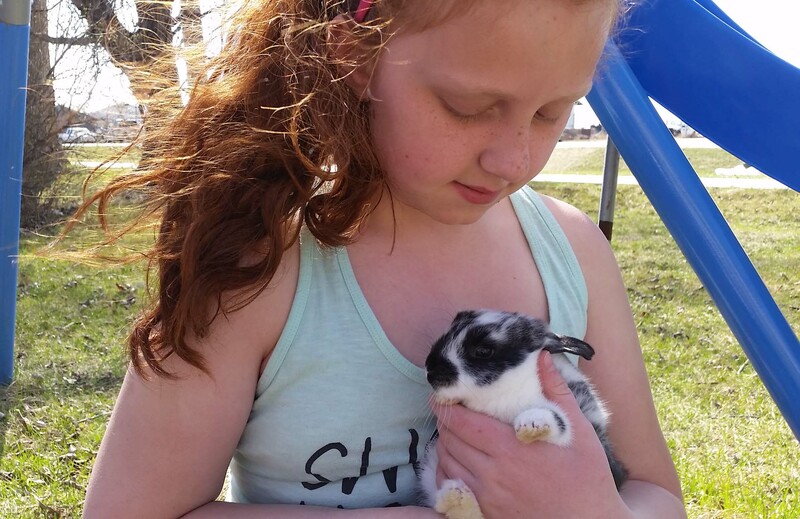 Daddy had said to the girls that they couldn’t get a bunny until we had a cage, so I reminded Autumn that she had a grandpa who was a carpenter who also lives on a farm. She decided to call him up and ask him if he had a cage. 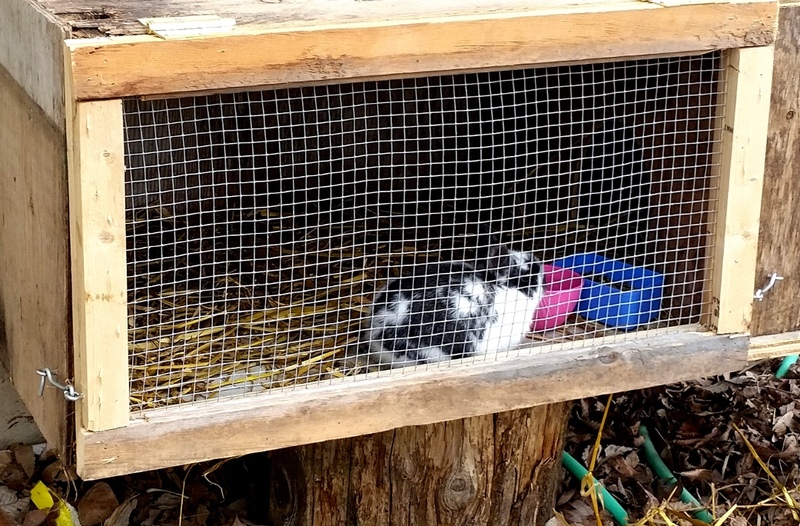 Lucky for her he actually decided to go to work using scraps he had laying around and build a cage for her bunny. Once we got the cage, we went on a bunny run. Now we have a new addition. And quite a sweet one at that. How cute! 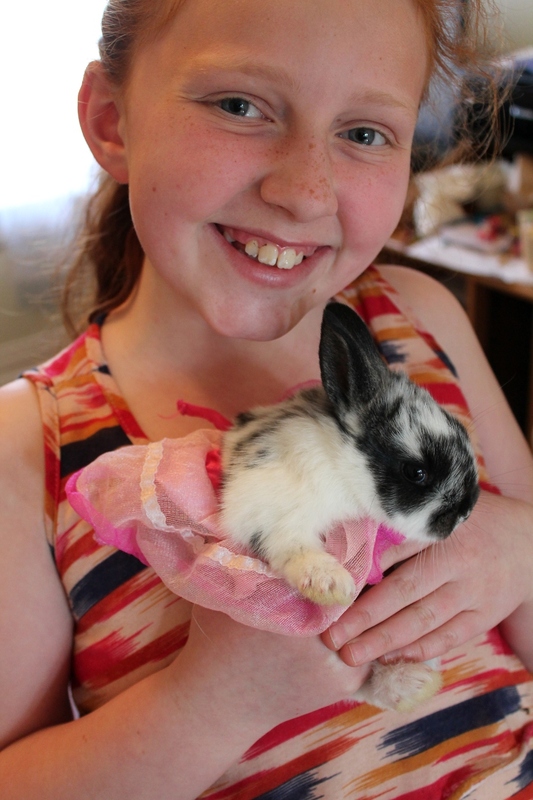 I am looking at getting a bunny for my children too. They are great pets. The bunny is so cute. Autumn looks so pleased with it!! It is very cute! And very gentle! Cute bunny, reminds me of our guinea pig and hamster. We can’t hold our guinea pig too long since she poops a lot ha ha.